We'll use this thread as a collection point for S55 methanol kit installation photos, directions, and notes. 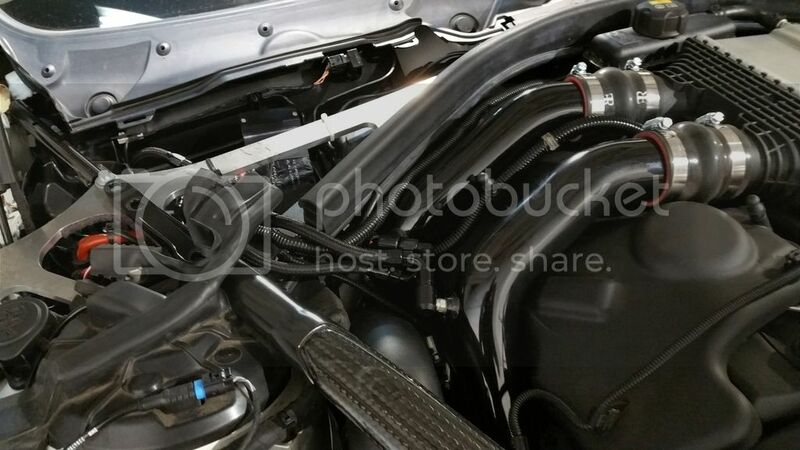 Here are a few photos of how we have the 1g dual nozzle kit installed on our development M3. 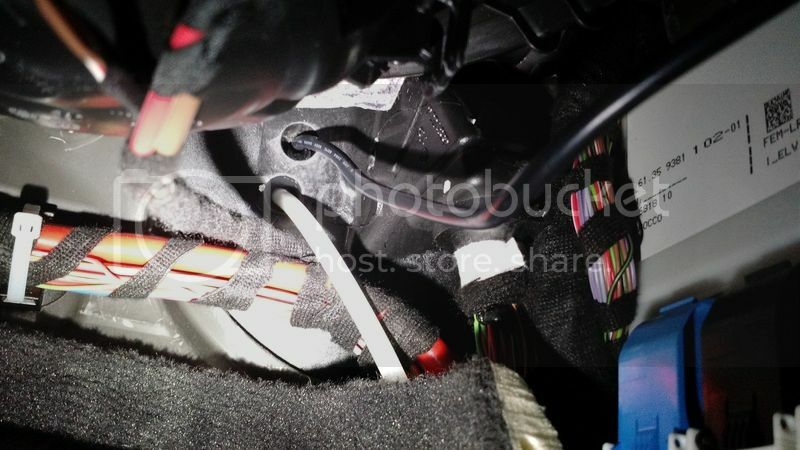 The wiring is the same as our N55 meth install guide. The only difference is the power wire. Rather than connecting to the battery rail you'll need to connect to switched power. Which is available in the fuse box under where the JB4 box mounts. Crimp a male tab on to a red power wire and shove it in an unused location. The beginning of S55 meth install references. Good to know. Currently running the USB cable to the glovebox. We're using the large grommet that the large bundle of wires passes through. Will prob use that for the meth lines as well. I took a few pictures of what we have done so far and will probably post them up once its all done. We got the USB in the glovebox just need to put some silicon on the grommet we broke through at the recommendation of my Tech friend. Here you can see the large grommet that we used to route the meth lines. The white thing sticking out is a giant zip tie we used to pull everything through. This is also where we routed the USB cable. 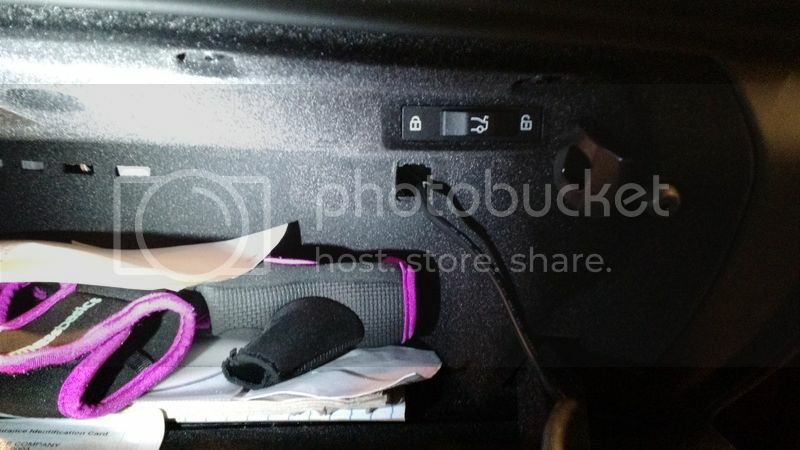 This is in the passenger side footwell. Here you can see the usb line and the meth line. I found a small square blank in the glove box and used that to route the USB cable. I simply followed the side of the fender wall. I picked up some velcro to keep the wires neat. Hope these helped anyone who is looking to do this. 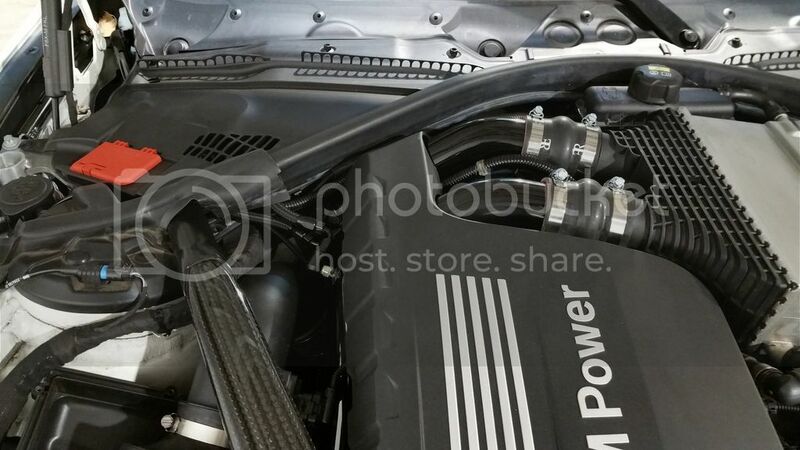 Our M3 is down at PURE TURBO right now so I can't take a photo for you. But you open the fuse box, find a spot where there is no fuse, crimp a pin on to the power wire. I used a ground fork and then broke one end of the fork off, and simply shove it in. Alternatively you could use one of those fuse taps or solder a wire to the top of a fuse and stick it in. Then route that wire outside the fuse box, shove the cover back on, and connect it to the FSB input. Getting that cover on and off is a bit of a PITA as it hits the aluminum strut brace there. But it's workable. A photo of the fuse tap would be great. With meth I'd use map 8 so you have the progressive safety system in place. Meth scaling 60 and then set the additive as needed. For those with PURE turbos if you set boost safety at 30psi or higher, it triggers map 8 to run the PURE turbo map 8 targets which are much more aggressive for a given additive. This is how I have mine routed. For me this was the easiest hole to reach and poke through. Data cable insterted through. As you see it comes down from higher spot then where you guys have the meth line going through. 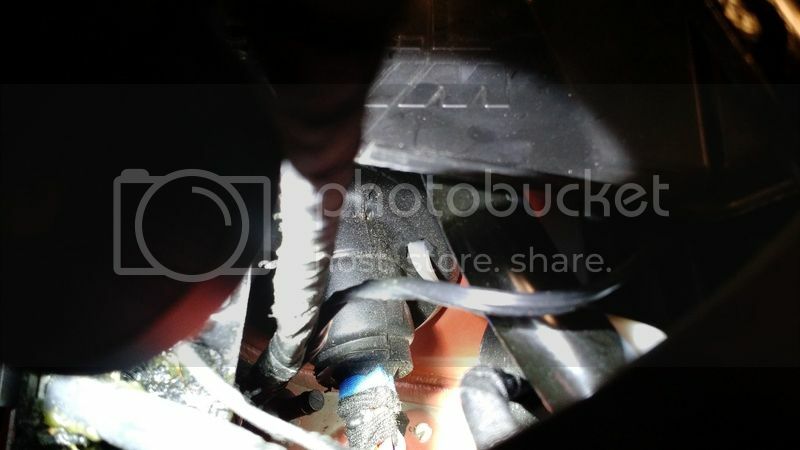 Data cable wires up and out of the square hole in the glove box. That hole has a plug so that needs to be removed. Much cleaner setup. It takes some times, but better then going through the window or the door. Is there any chance I could see the fuse that is tapped for the FSB power? Thank you! I'll find out in a bit if I can for you. But I recommend just using a volt meter from AutoZone or something and testing which fuse stays off when the car is off. 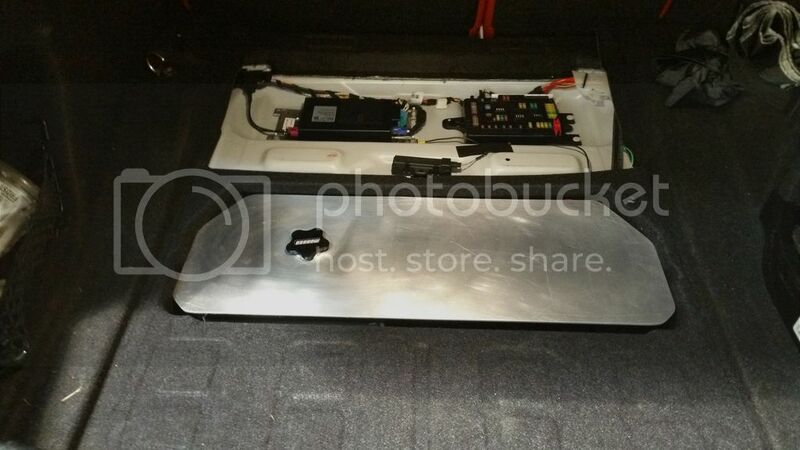 Been trying to gather info to get ready and organized to install meth on the M4 and have found one PDF and this thread containing some info but it seems still need some good pictures/ instructions for the power wire attachment in the glove box area fuse box, can the fuse box in the trunk be used for this as well, what is preferred? I will be reinstalling the kit I used on my N54 335 and presume will have to move the orange and blue wires to positions 3 and 16, any other tips and Ideas would be welcomed. For the Start Meth Flow At (PSI) default is 0 should a setting be entered here if so what is recommended? And for the Meth Safety/Trigger Mode default is 0 should a setting be entered here if so what is recommended? Also what fluid/Mix gives the best results Meth or Isopropyl Alcohol ? Last edited by harry$; 08-16-2015 at 10:32 AM.. I'd suggest around 12psi for the start PSI. I've had good results with boost juice 50/50... But its easy to try stuff and log to evaluate. Could use more power wire fuse install photos for our S55 reference. Some random images of today's meth install on our M4 development car. Will be testing it out this weekend at Shift Sector. What meth nozzles are recommended with pure stage2 running 93 in tank? Dual cm5 or dual cm7? Is that a custom meth tank or is it commercialy available? Love your meth setup. Love the clean look in the engine bay where can I buy the black straps to put on the nozzle wire?? Yes we make the tanks in house at our shop. Which targets has map 8 under 30psi boost safety and how much >30? Took a ton of pics during the installation. When everythings finished i´ll write a clean s55 guide.